Did you know that when you don’t floss you’re actually missing about 35% of your tooth’s surface during your dental routine? The same applies to your children’s teeth, putting them at risk for tooth decay and cavities. 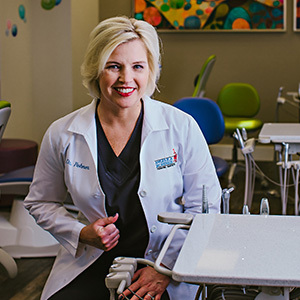 Dr. Angelica R. Rohner, your pediatric dentist in Birmingham, understands that there can be a misconception on how important children’s baby teeth are, and frankly—how difficult it is to get your child to enjoy a regular dental routine including flossing. Hopefully, this post will help you get a better understanding of the important foundation your child’s baby teeth lay for their future dental health and how to properly take care of it—in a fun way! Remove dangerous debris stuck in between teeth and gums. Keep children’s gums healthy for strong adult teeth to properly develop. Flossing isn’t fun for adults, much less the youngest members of your family. Hopefully, these helpful tips can make flossing less of a chore for your household. We all know that staying committed to a good dental routine is hard, especially flossing regularly. Even if your child still needs assistance when flossing, if they don’t put up a fight during their dental routine, reward them. Consider giving them a small prize for flossing every day of the week or a larger prize for flossing for a full month without fussing. Yes, this is a scare tactic, but sometimes it works! Our dental practice doesn’t want to scar your children for life, but many children are visual learners. Seeing decaying teeth on children their age may change their opinions on their dental routine, especially when it comes to flossing. Some kids enjoy competing with you and other family members. Turn flossing into a point system with rewards at the end. Or, just like many kids like playing “doctor,” play “dentist” and practice proper flossing techniques in a fun, lighthearted way. Dr. Rohner and the rest of our friendly office team believes that practicing good dental habits at an early age can promote a lifetime of healthy smiles for your child. 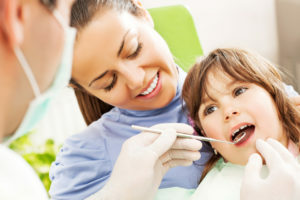 Our office is equipped with a skilled and nurturing dentist that will make sure your child’s smile is developing properly along with providing sealants for cavity protection, fluoride treatments, and regular check-ups. If you’d like to schedule your child an appointment for a professional dental cleaning with Dr. Rohner, contact our office. We would also be happy to show you and your child correct dental hygiene techniques.